If you are not going to visit the Harvard Art Museums for a while, or at all, because Cambridge, Massachusetts way off your itinerary route, and you like to read about art, read on. Last week I posted close up photos of a few details from five paintings at Harvard Art Museums that I found interesting. Some of them would be hard to miss as they are quite prominent in the painting, some might take some looking for, since they are just a small part of the overall piece. 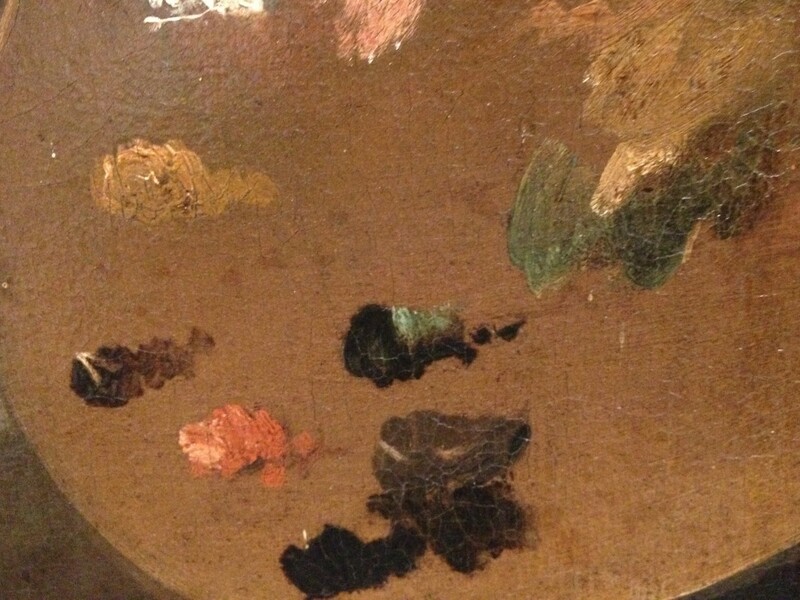 The blobs of paint on the easel in Nicolas Régnier’s “Self-Portrait with an Easel” are hard to miss because the easel is positioned right in the center of the paining and is quite prominent, though it would not be the first thing you’ll look at, I bet.